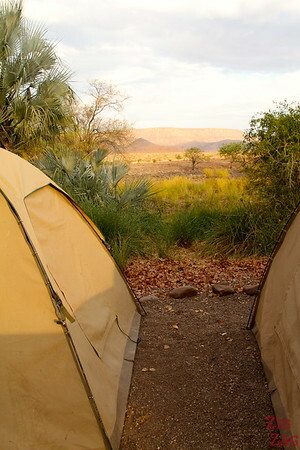 Who wants to sleep at an unfenced campite in Namibia? Crazy don't you think? Well I did it, right after visiting a Himba village. 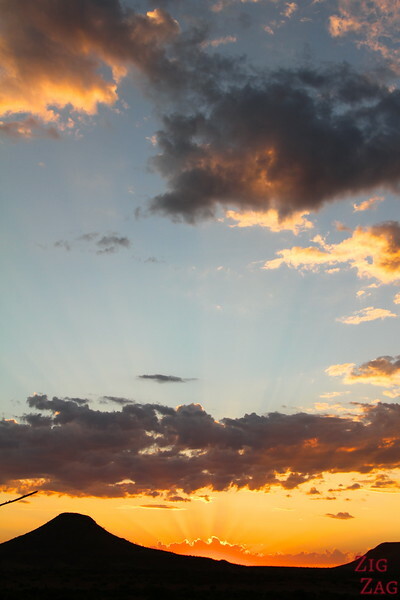 The noise at night were scary but the incredible sunset gave me sweet dreams! 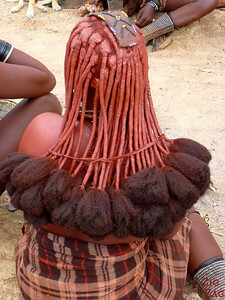 We stopped at the Himba village near the small town of Kamanjab. They take care of an orphanage & show tourists the traditional lifestyle and customs they still follow. I must admit that this was not my favorite experience as I felt a little bit in a Human zoo… But some of my fellow travelers enjoyed it and the Himbas were fascinated by the very long blond hair of one of us, which was quite fun to watch. However this village run an orphanage thanks to the tourism money so I was happy to help in that way. 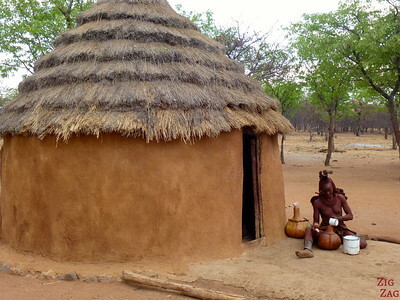 Less touristic more authentic Himba villages are in the North of Namibia. So our welcome speech included behavior skills to go to the toilet at night… how to roam with your flashlight and all… They explained us that a week ago they had lions crossing the camp. Scary but exciting! Look at the sign! 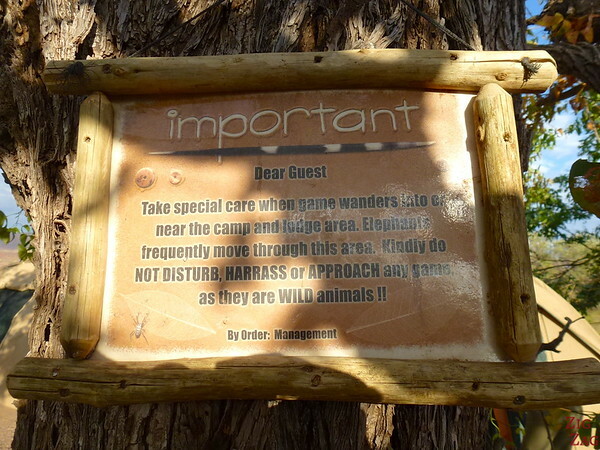 Really I should not approach the wild animals and pet them? I asked about my worry: the elephants. Wouldn’t they walk on us? Their answer was that they would perceive the tents as big boulders so won’t step on them. They might try to scratch but once they feel it is not stable they will move on… so yes, sure, safe!!! Before diner, they took us on a small walking tour. 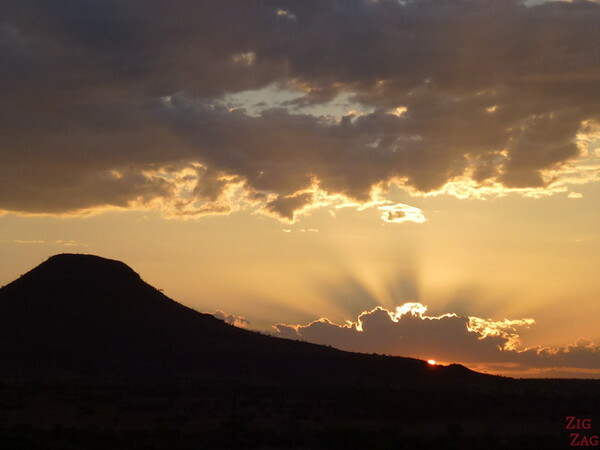 Of course our guides had gun but we did not cross any animals.​ We just watched an amazing sunset. SIMPLY BREATHTAKING! One of the best I had ever seen. My advice, if you are sleeping under such conditions so not drink too much in the evening especially beer! 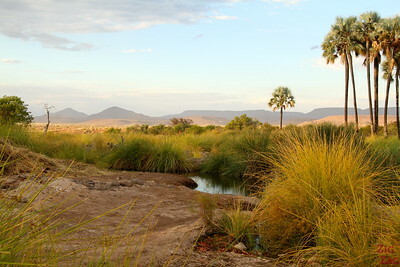 I learned the next morning that the animals I heard were hyena. 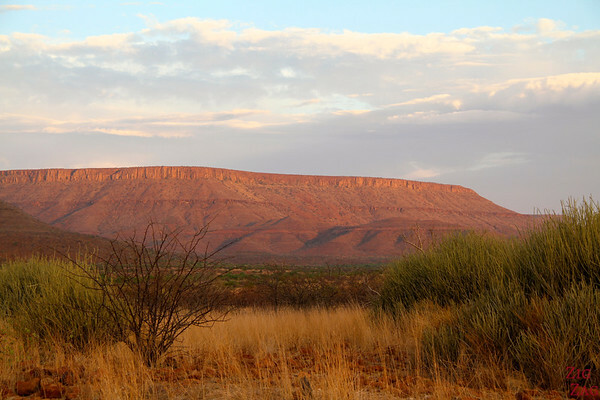 Want to see MORE of NAMIBIA? 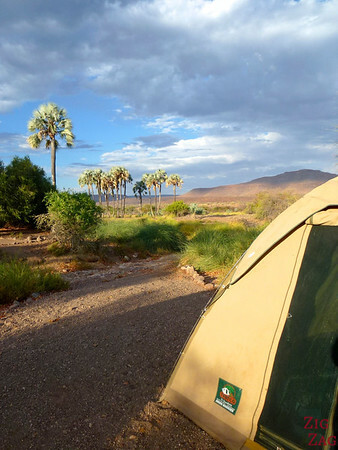 Discover more things to do with photos and planning information in my online Namibia Travel Guide. 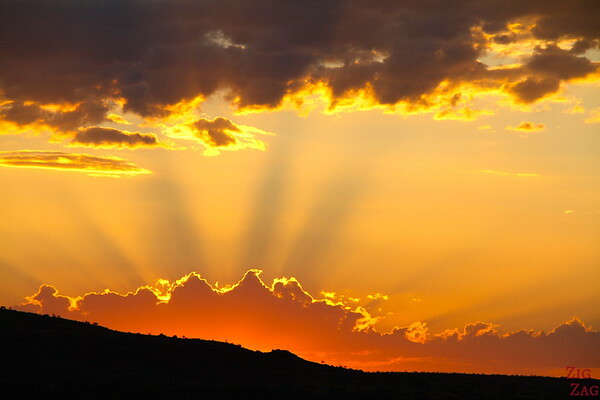 Have you ever seen such a wonderful sunset?